I’m an avid follower of Virtualization, Storage, and Data Center/Enterprise technologies. My experience is primarily with VMware vSphere, Dell PowerEdge, PowerVault, PowerConnect and EqualLogic 1GbE and 10GbE SAN’s, NetApp OnTAP storage, Cisco switching, and Windows Server, as well as various Veeam tools, particularly Backup & Recovery. I’m willing to try more, if you have options such as hardware you’re looking to donate to the cause, or simulators that I may not know about. Those around me know me as a bit of a certification junkie, which might be cause or affect from my home lab. Check my Certifications link for more on that. When I’m not doing IT (which seems to be always, but I love it), I have a passion for Real Estate, Renovations, Mustangs, and rubbing the tummy of just about any dog out there 🙂 I also will not turn down sampling a new or existing cut of beef or authentic Mexican tacos! 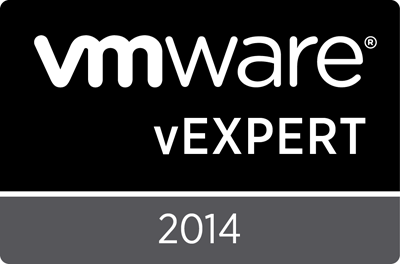 I’m also proud to be one of the Edmonton VMUG Leaders, and a very active part of the community. Please check out http://www.vmug.com/Edmonton for updates, and we can be reached at edmonton@vmug.com as well as @EdmontonVMUG on twitter.